Australia are likely to hold off on naming their Ashes Squad until July, head coach Justin Langer has indicated. The first Ashes Test will begin at Edgbaston on 1st August, but selectors are set to break with tradition and first see who is impressing for Australia A. Banned duo Steve Smith and David Warner will become eligible for selection in March, so the trio of selectors - Langer plus chair Trevor Hohns and Greg Chappell - will be keen to see them in action. 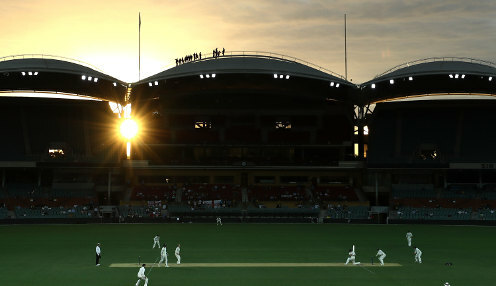 No dates have yet been announced for the Australia A series, but their schedule is expected to feature a combination of first-class and 50-over matches in the UK from late June until mid-July. Reports suggest the A team will then stay in Britain to play a full-scale warm-up match against Australia's Test squad in the week prior to the opening Test. Langer said: "We probably won't pick the final Ashes squad until quite late ... maybe halfway through, or three quarters of the way through (the A tour). Meanwhile, Langer has defended the decision to leave young gun Will Pucovski out of the team for the first Test against Sri Lanka. Former great Shane Warne had written that selectors had "missed a trick" by not handing Pucovski his debut in Brisbane. But Langer said the decision to instead bring in debutant Kurtis Patterson from outside the original squad came down to selecting the best player for the job. "I spoke to a few people I trusted about it and we just felt it was a really common sense thing to do," said the coach. "I was really glad we had the courage to have that flexibility and bring someone in from outside that original squad." Australia are 1/7 to win the second Test against Sri Lanka, who are 14/1, with the draw 9/1.